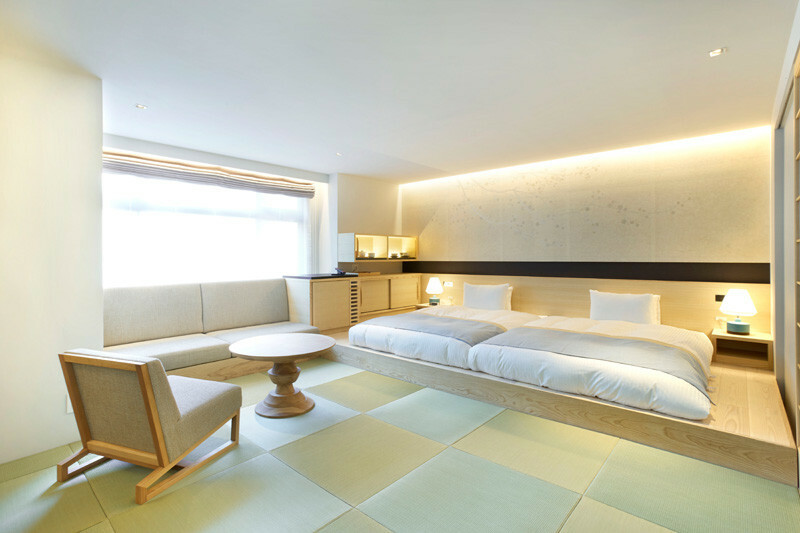 Interior design firm Bazik Inc, together with Takaki Takizawa, have designed this room at Ogawaya Ryokan, a hotel nestled in the Gero Onsen region of Japan. 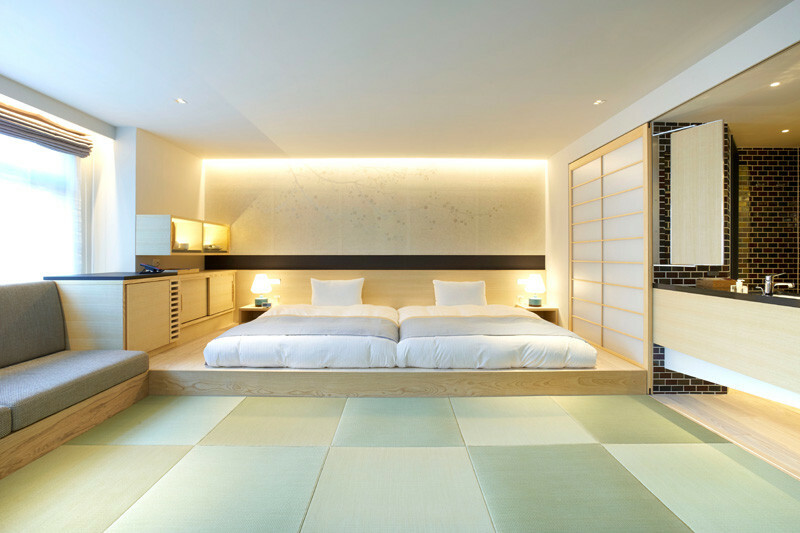 For the design of the room, they included several Japanese cultural elements. 1. 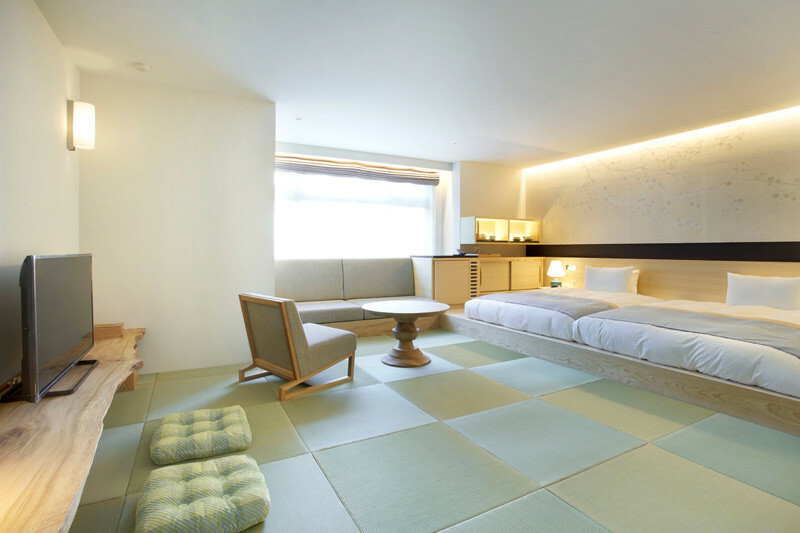 The flooring in the room is a contemporary version of a Tatami Mat. 2. 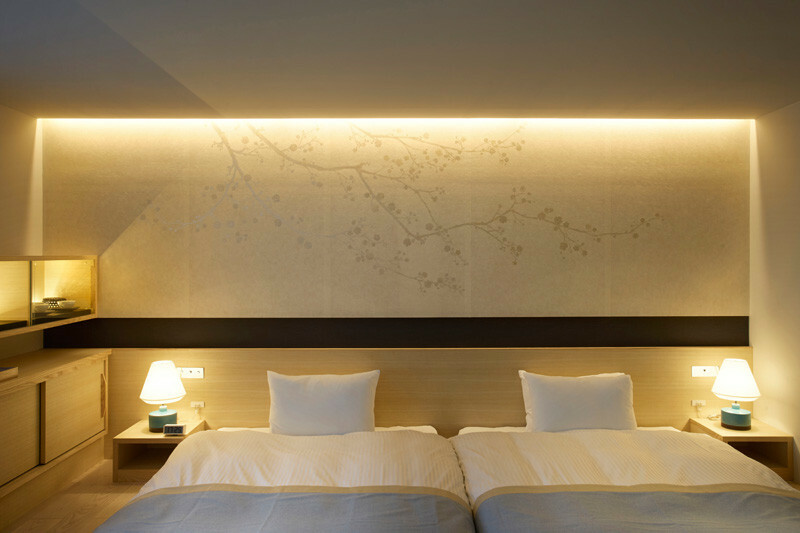 As many Japanese people sleep on a Tatami mat on the floor, the designers have lowered the bed, giving guests a more authentic sleeping experience. 3. 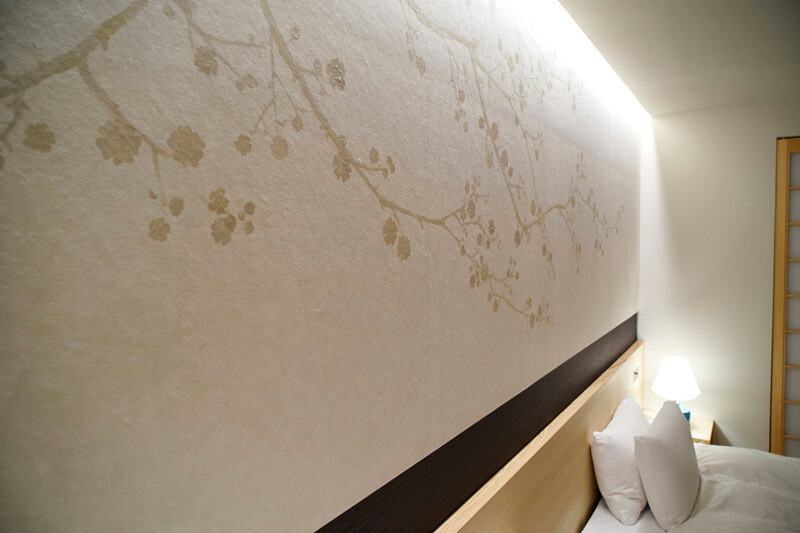 Above the bed, there is a subtle piece of artwork, depicting a blossoming tree, which are common throughout Japan. 4. 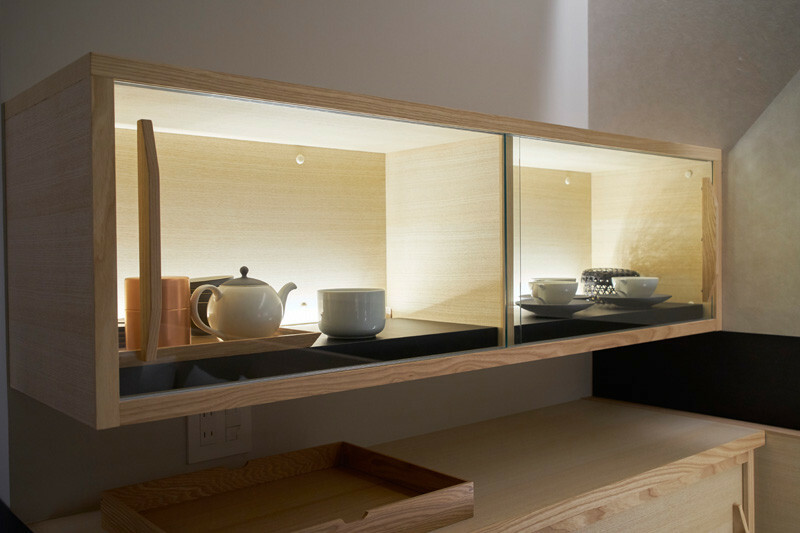 The room comes with tea making facilities, allowing you to have your own Japanese tea ceremony. 5. They have used a Shoji screen door, made from translucent paper over a wooden frame, to hide the bathroom. 6. 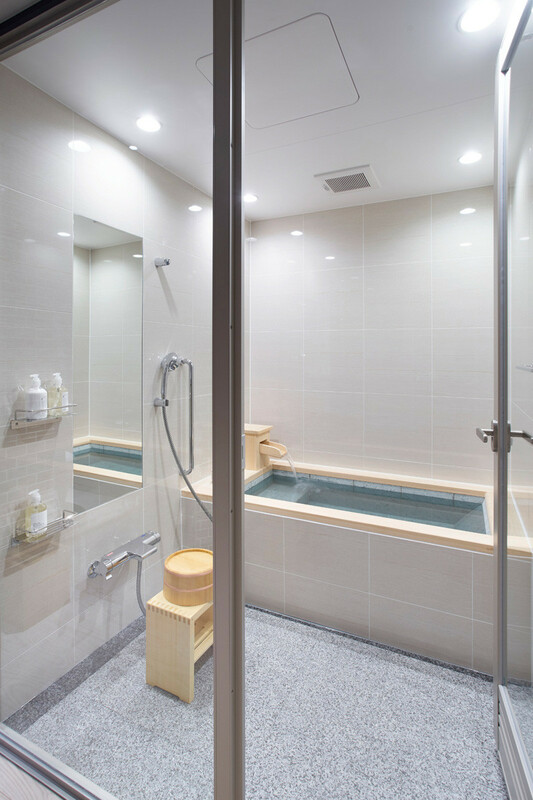 In the bathroom, they’ve taken inspiration from the nearby hot springs, and included a Furo (or Ofuro), a deep Japanese soaking tub. 7. 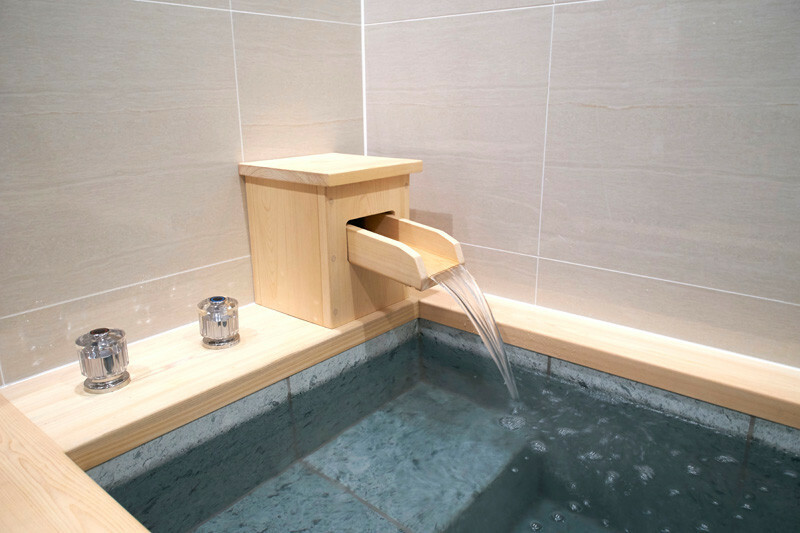 Even the design of the water spout is similar to the bamboo fountains found in Japanese gardens.